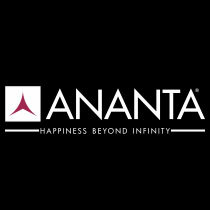 Ananta was founded in 2009 by Nilay Chotai. Further in 2012, the company got association with Naresh Patel and others as Ananta Build Infra Pvt. Ltd. The company evolved out of their family-owned construction businesses, having years of experience in real estate development. Our Goal is to build a world-class real estate development company in Gujarat that demonstrates the highest standards of quality, customer service, professionalism and ethics and to establish Ananta, as one of the top real estate development companies of Gujarat has a lion's share in the growth of the real estate sector of Vadodara and has been a true partner in the growth of our customers, suppliers, associates, employees by delivering value for money and excellent investment returns.